This book is dedicated to the true spiritual culture of Native Americans. 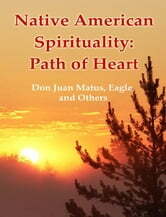 On its pages, Divine Native American Chiefs tell about the Path leading to Perfection - the Path to Freedom. Life for God. A Book for Seekers of Freedom!